Manjaro's first boot menu is very similar to many other distributions. You have a choice of default keyboard (and it really works in the booted up system), screen resolution and a few boot options: Live run, Install, check media and so on. What is interesting is that Manjaro offers you a choice of free and non-free drivers for use in the Live system. The free drivers are default, but I went for the non-free option. Once the choice is made, it takes few minutes for the system to boot. The default screen layout of Manjaro 15.12 KDE is very standard for KDE systems. There is a default wallpaper with some abstract image in green colours. The panel is at the bottom and it has a menu button with some quickstart shortcuts on the left with some standard elements in the notification area on the right: clocks, USB devices, network monitor, volume control and so on. Once you connect to the network, an Octopi reminder appears there too to tell you that update packages are available for your system. There is also a switch between the virtual desktops - you have two by default. Manjaro 15.12 KDE uses the "flat" Maia set of icons by default, but a few more sets are also available in the distribution: Oxygen, Breeze and even GNOME. I tried to switch to Breeze Dark set, but noticed no change in my system, apart from a few disappearing icons in the Dolphin file manager. I switched back to Maia then. There is a window with some information about the Manjaro system that appears on the first boot. A freshly booted Manjaro takes about 690 MB of memory, which is quite high. Manjaro 15.12 KDE 64-bit in Live mode had no issues in configuring the wireless network card of my laptop. I only had to click the network icon on the panel, select my home network and enter the password. Connection was set up very quickly. Manjaro KDE uses Dolphin as a default file manager. I was able to find my shared Samba folder in the network and connect to it using that file manager. There was no need in entering any configuration details or commands in the terminal - just a few mouse clicks were enough. However, the browsing of that network share was rather slow. I cannot tell the reason for that. As I mentioned above, the keyboard layout choice from the first boot screen successfully works in the booted system. My choice was for English UK. Unfortunately, I was not able to find a place where I could configure several layouts with a switch option in Manjaro 15.12 KDE. Neither Keyboard, nor Locale, nor Regional Settings in the System Settings panel had this configuration available. 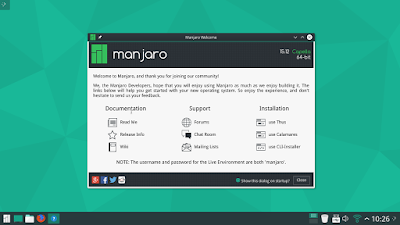 Manjaro 15.12 KDE comes with Linux kernel 4.1.15. More kernels are available in the System Settings - Kernel section where versions up to 4.5 were listed for me when I wrote this review at the end of March 2016. It's not the kernel but applications that are most interesting for the system users. Let's see what is available there. Manjaro 15.12 KDE comes with Firefox 43 as a default browser. There is also ELink browser available in the menu. Other Internet tools include qBittorrent client, KGet downloader, Konversation IRC chat, Akgregator RSS reader, Steam client and many more. Unfortunately, I have not found any Instant Messaging client in the menu. Productivity tools are represented by a rather old LibreOffice 4.4.7.2 suite, including Database, Math and Draw components. There is also a simple KSieve editor, Okular PDF reader, KMail, Cloud Storage Manager and many more applications. The Multimedia menu section includes VLC player, K3B burning tool, Kdenlive video editor, Xine video player, Cantata player client. There are plenty of Graphical applications in the Manjaro 15.12 KDE: Krita, Karbon and LibreOffice Draw editors, Gwenview and ShowPhoto viewers, DigiKam camera management, Scanlite scanning utility and some more. Unfortunately, GIMP is not listed in the menu, but you can install it from the Manjaro repositories. There are no games in the default Manjaro 15.12 distribution, but Steam client is available for use right out of the box. Manjaro 15.12 has some development and educational tools, as well as some standard utilities like Terminal, Disk usage analyzer, performance monitor, Ark archiving tool etc. You can notice that there are some omissions in the menu that I mentioned above. Can they be fixed? Of course, if you get the necessary applications from the repositories. Octopi is the package manager in Manjaro 15.12 KDE. It is available in the System section of the menu. As usual, it is a good idea to refresh the local repositories before searching or installing any application from the remote repository. It took just few moments for me. As I mentioned above, Octopi automatically checks repositories for newer versions of the packages - there were about 580(!) of them available for me. Of course, I didn't want to update them in the Live version. LibreOffice is available as "Still" version 5.0.5 and "Fresh" version 5.1.1, which are both better than an outdated 4.4.7 in the default system. Just to try the installation process, I decided to install the Kopete messenger. It required 10 packages to be installed with all the dependencies. The installation process was rather lengthy - couple of minutes at least, which is more than enough for this small size of the application. Unfortunately, even after the installation I could not use Kopete, as it installed without any messaging service plugin. I was a bit disappointed with this. VLC is the default multimedia player in Manjaro 15.12 KDE, which means you have no issues with playing the vast majority of multimedia formats. 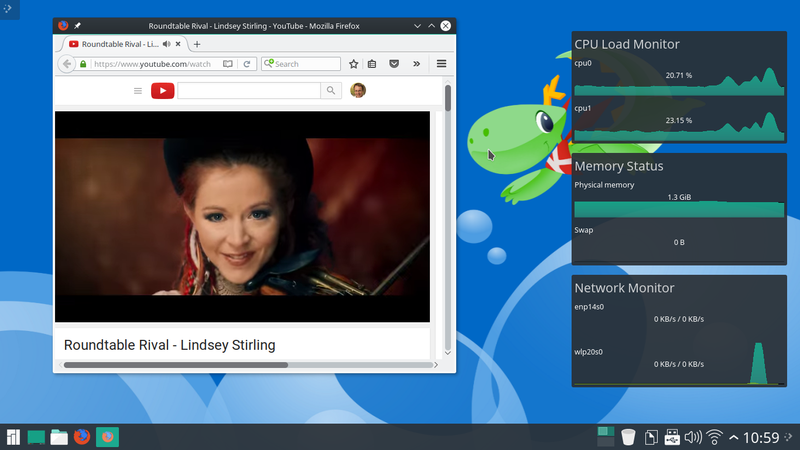 Firefox is also equipped to view videos. When I navigated to the YouTube video, a message appeared at the top of the browser window that Adobe Flash plugin was outdated and required an update. Firefox told me that the plugin didn't start, but the video played nevertherless. 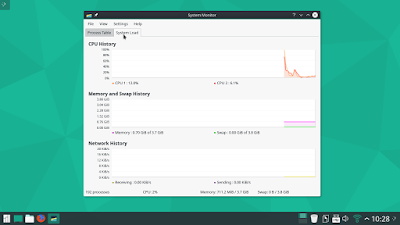 Manjaro 15.12 KDE 64-bit in Live session felt very snappy and fast. I had no issues with the system performance. However, there were still some issues that I drew attention to in the paragraphs above. I would like to say that if I had a choice between the KDE and Xfce editions of Manjaro operating system, the latter would still be my preference. 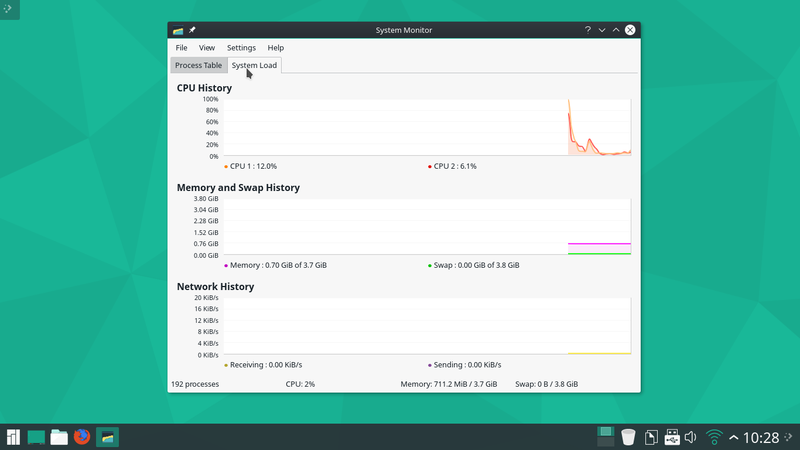 Although I must admit that the overall level of Manjaro OS is very high. Would you like to try it yourself? Why not order a disk from Buy Linux CDs site?